The Blast is a heavy duty 12 volt inflator/deflator with rubberized grip and is capable of inflating quickly and efficiently up to 1.5 psi. 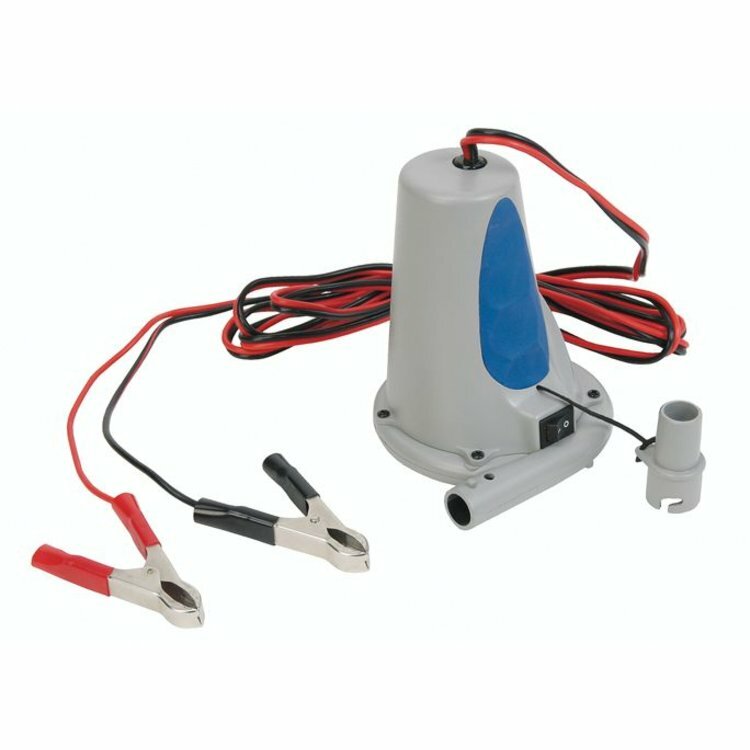 Comes with an adapter to fit a wide variety of valve types. Inlayed rubber insulates from heat and sound while providing a more secure grip. 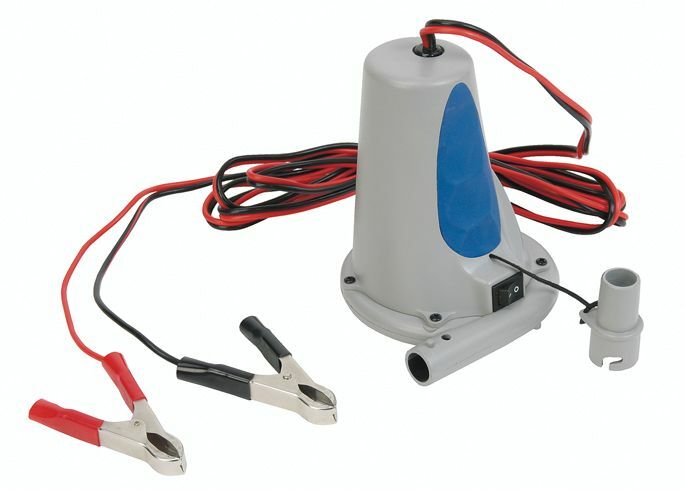 12 foot power cord allows you to easily inflate your boat near your vehicle. It's easy to deflate with the Blast Pump. There are two ports on the pump - one where the air enters the pump and one where the air blows out. Simply disconnect the nozzle from the outlet side of the pump (it twists on and off) and connect it to the intake side. The Alligator clamps allow quick and easy connection to your vehicle's battery.